Dadivank Monastery (also Khutavank) is the largest monastic complex in Artsakh-Karabakh and one of true masterpieces of Armenian medieval architecture. It is located in the northwestern part of Martakert district of the Nagorno Karabakh Republic, on the territory of Artsakh's historical province of Upper Khachen. 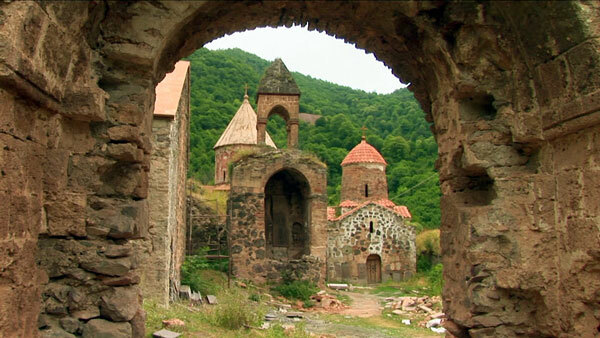 According to the legend, the monastery was founded at the end of the 1st century AD and named after one of apostle Judes disciples, St. Dadi, who martyred preaching Christianity in the Eastern Territory of Armenia. 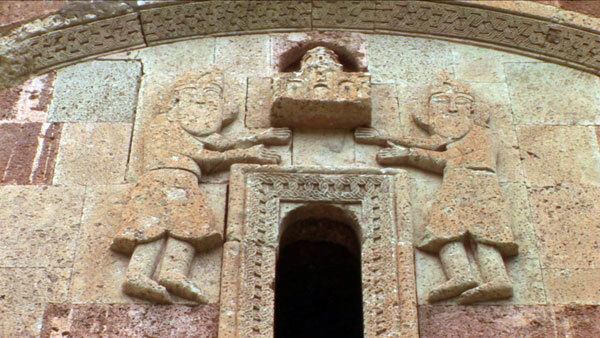 Dadivank was first mentioned in medieval chronicles in the 9th century. 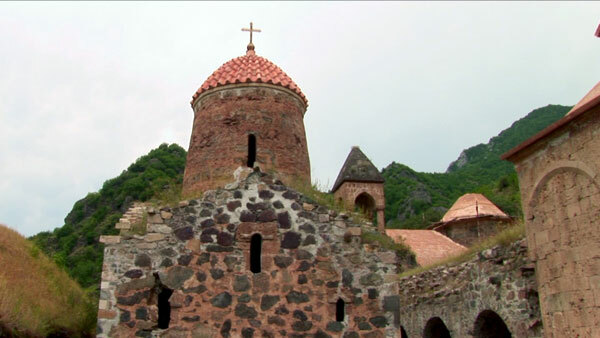 The monastic complex of Dadivank consists of the Memorial Cathedral (Katoghike), Church of the Holy Virgin, Chapel, Memorial Bell-Tower and several auxiliary buildings. In the 5th century the temple became the residence of the Bishop of Aghvan, while afterwards it was turned into one of the most significant educational and enlightening centres of that region. The central building of the monastery, Memorial Cathedral, was erected in the year 1214 by the Queen Arzou of Haterk. The interior walls of the Memorial Cathedral are richly decorated with frescoes. Part of a large inscription in Armenian, which covers the entire entrance wall of the Cathedral is written «I, Arzou-Khatoun, obedient servant of Christ ... wife of King Vakhtang, ruler of Haterk and all Upper Khachen, with great hopes built this holy cathedral on the place where my husband and sons rest in peace ... My first-born Asan martyred for his Christian faith in the war against the Turks, and, three years later, my younger son Grigor also joined Christ ... Completed in the year 663 of the Armenian calendar». According to the ancient scripts, the remains of St. Dadi were buried in the yard of one of the temples of the monastic complex. After recent archaeological excavations the remains of the Armenian Saint were found and blessed by His Grace Archbishop Barkev Martirossian, the primate of the diocese of Artsakh.